The London housing market is suffering this year, with more homes being withdrawn from the market than being sold. Over half (58%) of homes taken off the market this year were withdrawn, rather than being sold, so could this worrying statistic change the way we market and sell our properties going forward? The uncertainty in the London market is said to be due to the vote to leave the EU in June 2017, but could the market worsen as the UK heads closer to leaving? Here at Good Move, we know you want to sell your home fast so we have the latest information and forecasts for selling your London home. 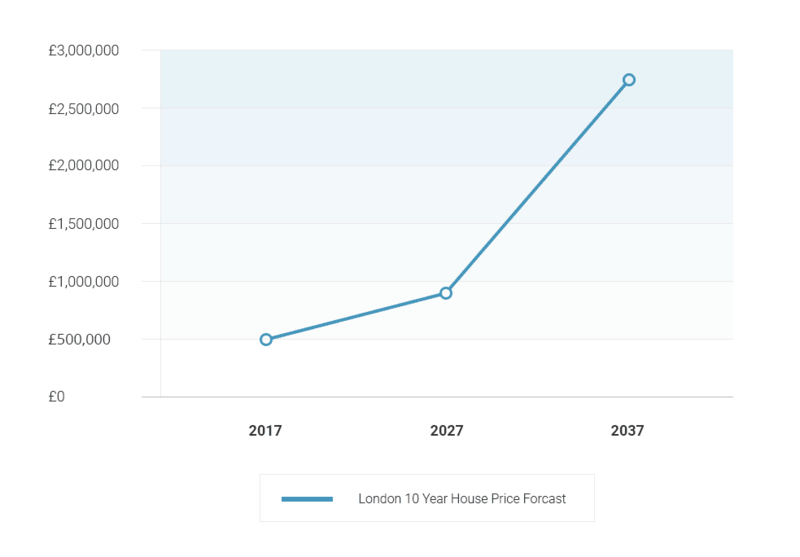 It’s no surprise that over the next 10 years we could see a price increase in the London housing market. The facts and figures speak for themselves, with a predicted increase of a staggering 80% by 2027. With a current average house price of £481,648 in London, home buyers could be forking out an expected £866,719 in ten years time. By 2037, homes could go on sale for around £2,792,783. As well as a price hike, the London property market could be faced with other, continuing issues. The lack of affordable housing and a growing population is expected to be the main issue, as buyers struggle to be able to afford the extortionate prices in the capital. The increase in stamp duty, which was introduced in 2014, could also be a contributing factor to sellers making the decision to withdraw from the market. The increase tax on homes over £937,000, a 3% surcharge for second and additional properties and expensive estate agent fees could be some of the reasons people make the decision to withdraw. How long does it usually take to sell a property in London? It takes, on average 89 days to make a sale in the capital, so you could sell your house quickly, however due to the current market, sellers are waiting much longer. The length of time it can take to sell can have an impact on whether people decide to move. The majority of customers want a quick sale and this can be for a number of reasons, such as financial difficulties, divorce, retirement or looking to emigrate. If you do want to sell your house fast, property buyers such as Good Move, can quickly buy your house, regardless of the condition. We can provide a cash offer within 24 hours of the request (subject to survey), and can sell your house quickly in around 21 days. 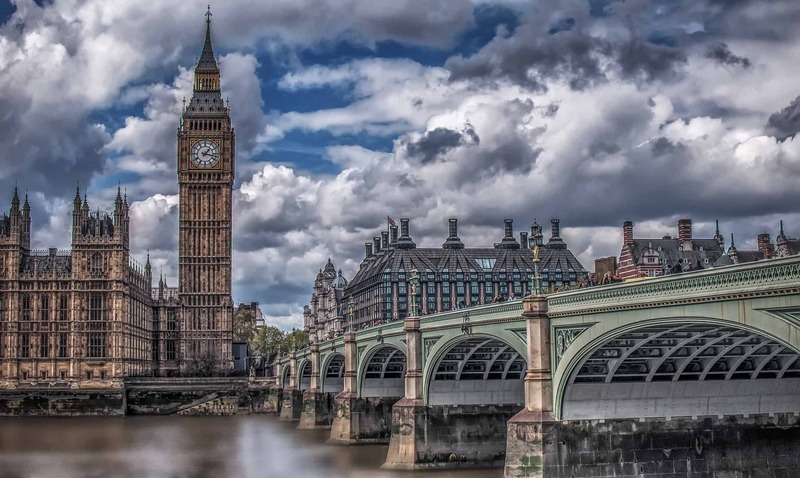 There are many cities and towns surrounding London that are equally as desirable as London. Crawley, a town and borough in West Sussex has a promising housing market. Last year, the town was named the fourth fastest-selling property location, with houses in the area taking on average, 30 days to sell. Crawley is in commuting distance of London, and lies 28 miles south of Charing Cross in the capital. Residents of the town can also travel to Gatwick airport in under 10 miles, so it’s an ideal location for those who enjoy jetting off to sunnier climates. Named the 9th best place to live in the UK in 2006, Guildford is a large town in Surrey which is located 27 miles southwest of central London. The town has a rich history, and began as a Saxon village, and eventually turned into a town in the 10th century. Guildford is one of the most expensive places to live outside of London, with the average house price sitting at around £496,102. Sitting northwest of London, High Wycombe is a town in Buckinghamshire. The town is known for its famous market which has been held in the High Street since around the Middle Ages, and is a combination of industrial and a market town, with a traditional emphasis on furniture production. The average house price in Guildford is around £335,644, which is cheaper than surrounding villages and towns of Tylers Green and Loudwater. What’s next for property sellers in London? Here at Good Move, we can buy your property for up to 85% of the market value. If you’re considering selling your property in London, you should be able to get a good offer. With Good Move, you’ll be able to save on the cost of expensive solicitors, estate agency fees and survey or valuation fees as these fees are paid for you.